As we all know that Murali Vijay is important asset to Indian Team is only the third opener after Sunil Gavaskar and Virender Sehwag to score 10 Test centuries for India because kind of persona he made. Indian openers with centuries in most consecutive Tests in India are Virender Sehwag, Gautam Gambhir and Murali Vijay. Calm. Composed and stylish Murali Vijay hits classy 12th century. His second century in Begaluru. 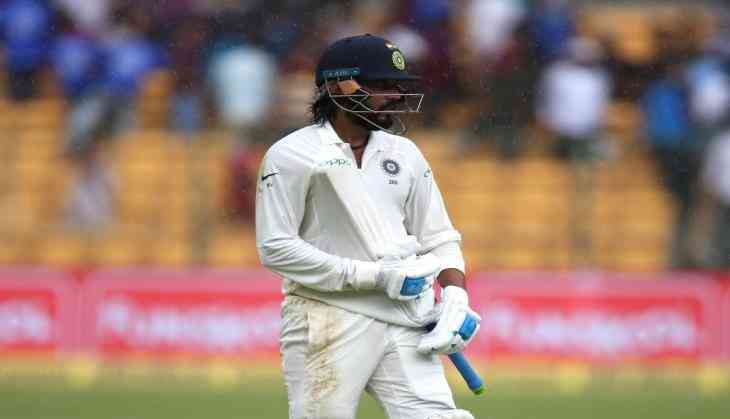 During SriLanka Tour Murali Vijay hits two century back to back when India made a tour to SriLanka and second one when India host the Srilanka Murali Vijay and KL Rahul are slowly building up momentum but the play has been halted due to rain. The ground staff get some covers on the field.